Dream Pod 9: Kickstarter Update: HGB - Plastic Miniatures Assembly Guide! 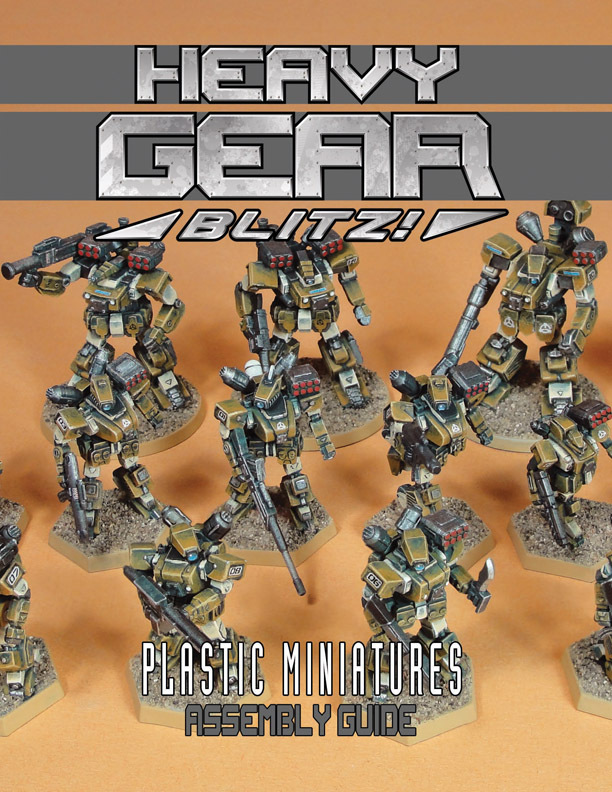 The Heavy Gear Blitz - Plastic Miniatures Assembly Guide is designed for players who have picked up our new plastic miniatures for either the North or South factions of Terra Nova or the CEF of Earth or Caprice Colony factions. It includes includes an assembly guide for the new plastic models with photos of the plastic parts sprues and numbered identification of all the parts included on them. Plus 3d model images and photos of the assembled and painted models and the models list sections with all the game stats for each model. Also, weapons table and blank Force record sheet are included so you can check the weapon parts needed for each model as you make your Force. Here is a link to the download page on DriveThruRPG to get your free copy. If you want to read the full Kickstarter Update and see a photo of Robert leaving the office a cart load or backer reward packages that shipped on Tuesday, click the link below. Home › Blogs › Robert Dubois's blog › Kickstarter Update: HGB - Plastic Miniatures Assembly Guide!